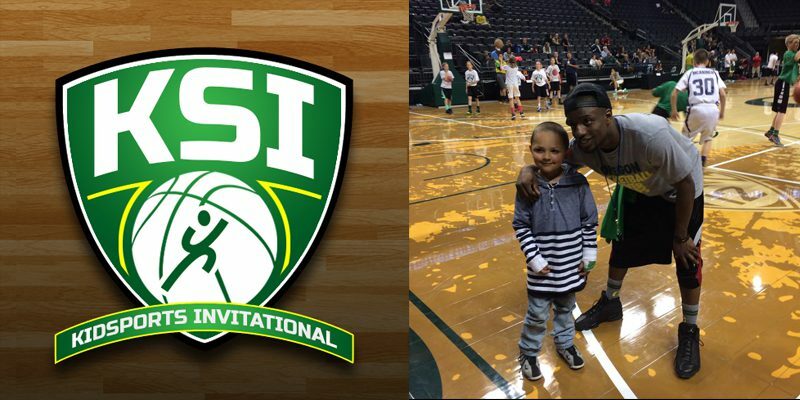 One week from today, the 16th annual KIDSPORTS Invitational will take place at Matthew Knight Arena in Eugene. Powered by the Warsaw Sports Marketing Center, this event is a nonprofit, 3-on-3 basketball tournament for 5th-8th graders throughout the greater Eugene community. The KIDSPORTS organization is dedicated to the values of physical fitness, sportsmanship and teamwork through sports activities. The primary goal of the event is to create life-changing experiences for kids regardless of financial restrictions. At only $15 per team, the KIDSPORTS Invitational offers kids a unique opportunity to play in one of the premier venues in the country, as well as engage with UO student athletes who will also be joining in the fun. Additional activities throughout the day include skills challenges, free throw contests, dunk competitions, and raffle prizes. The annual tournament includes roughly 400 players divided among 70-80 teams and focuses on providing kids and their families a fun environment throughout the entire day. The best part of it all is that 100% of the proceeds are split evenly between two local scholarship funds. First, the KIDSPORTS Emerald Scholarship Fund, which assists underprivileged kids in paying fees necessary to play sports. Second, is the Stephen Dember Memorial Fund, which is granted annually to a University of Oregon student who demonstrates a true passion for sports business. This is a great opportunity for kids in the Eugene/Springfield area to have an authentic basketball experience for a low price. The KIDSPORTS Invitational is encouraging donations, no matter how small, to help support this inspiring event.